After years spent in the inner sanctums of several of Los Angeles’ greatest culinary hits, Chef Shawn Pham is no stranger to a successful kitchen. He has worked under David Myers at Sona (now closed), Tom Colicchio at Craft, and Jose Andres at The Bazaar, but it was the four years he spent in Ho Chi Minh city getting intimately acquainted with the food and culture of his heritage that inspired him to open his own restaurant. Simbal in Little Tokyo, Los Angeles is Shawn’s love letter to the flavors and colors of his Vietnamese background, but with a twist. South-East Asian in vibe, Simbal is the perfect platform for Shawn to bring his creative energies to the table. 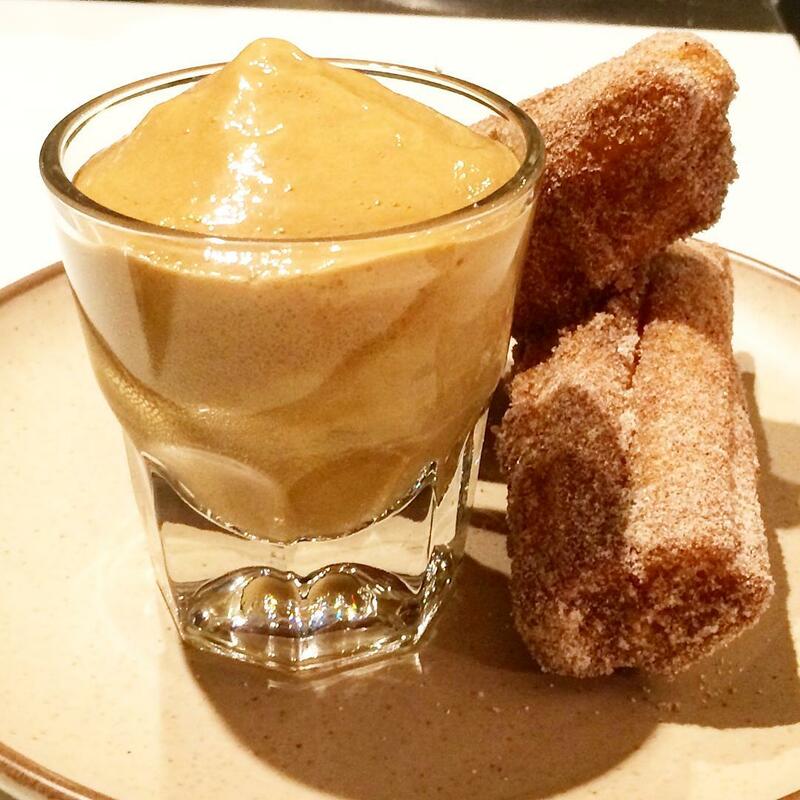 Consider his revered short rib pot pie, banh mi salad or sugared Chinese doughnuts with vietnamese coffee dip. Don't know what to order? No worries, Simbal specializes in small plates, a nod to Shawn’s fascination with the family table, so if you bring enough people, you could (and should) hypothetically try the entire menu. But let’s step back to that banh mi salad. 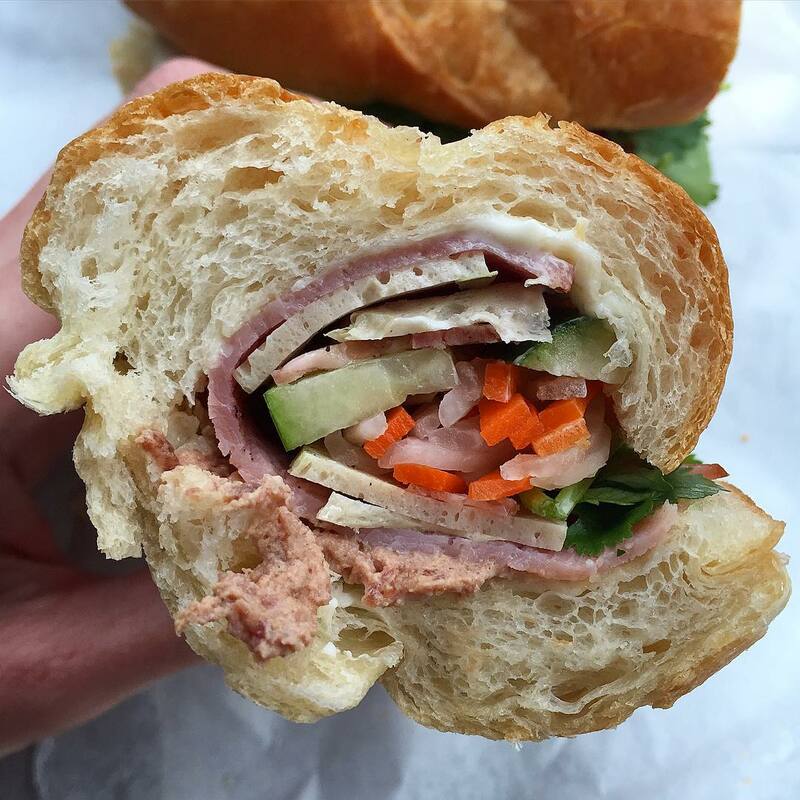 A deconstruction of the Vietnamese staple, the banh mi — a baguette-style sandwich loaded with meat, pickled carrot, daikon, cilantro, chile and mayo is the result of French colonialism in Vietnam in the late 1800s through 1954. 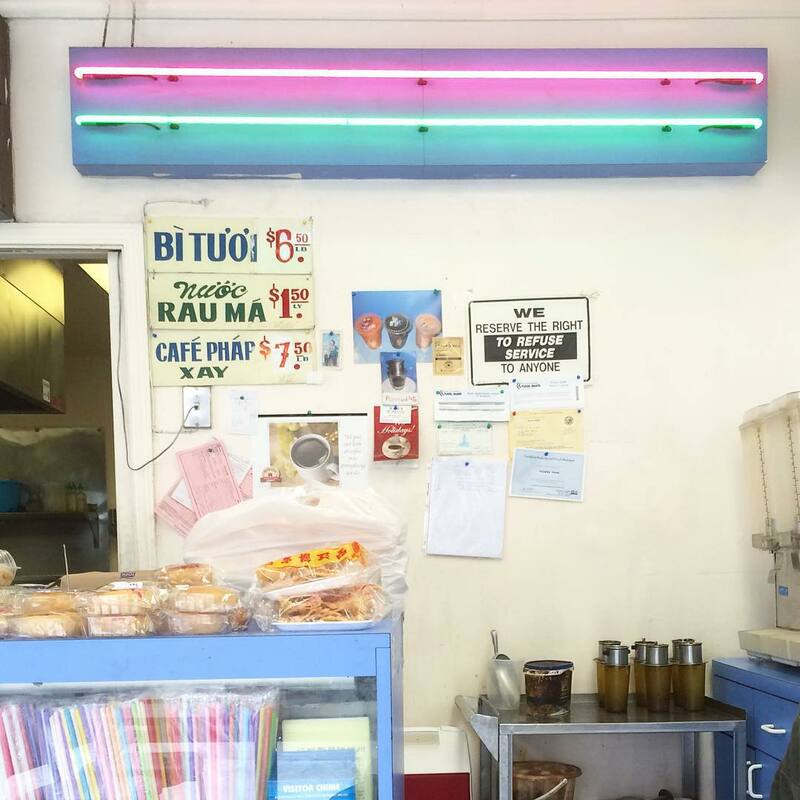 And since nearly half of the world's Vietnamese immigrants call southern California home, the beloved banh mi has now found its way into the hearts and menus of Los Angeles. 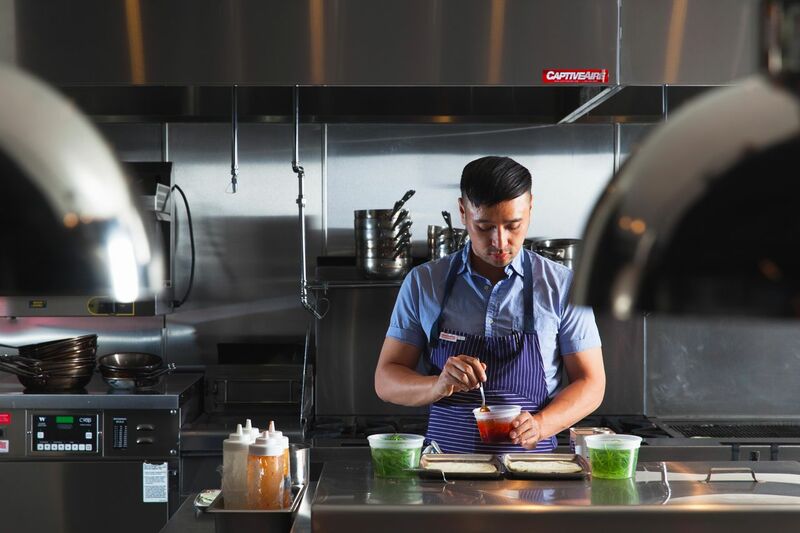 Shawn Pham: Our goal was to include a Vietnamese dish that was familiar, but not an exact recreation. First, we avoided the cliché technique of elevating a dish with exotic or luxury ingredients, then scattering them on a plate like a Kandinsky painting. Next, we were sparked by a recipe for panzanella bread salad from an Italian cookbook; we asked: what if the banh mi sandwich were a salad instead? We agreed that the idea was playful, fun and food-sharing friendly, without compromising the original flavors. 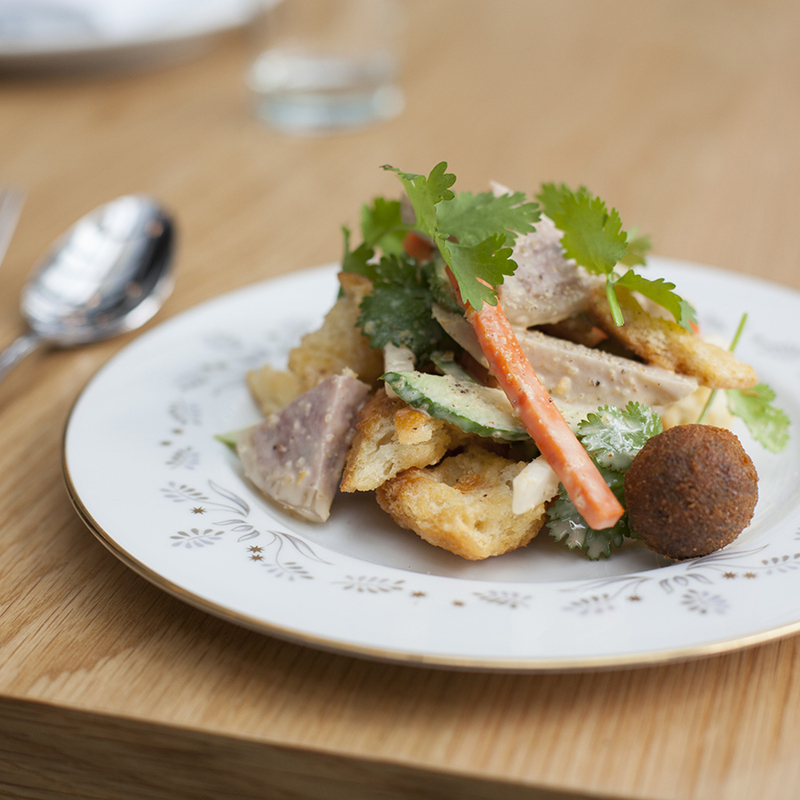 For the dish, we use all of the traditional ingredients found in a banh mi, with one variation: the chicken liver paté that is typically smeared inside the sandwich is replaced with chicken liver paté balls that are rolled in breadcrumbs, then fried until golden brown. SP: Buu Dien does great banh mi that are simple and hit all the marks. 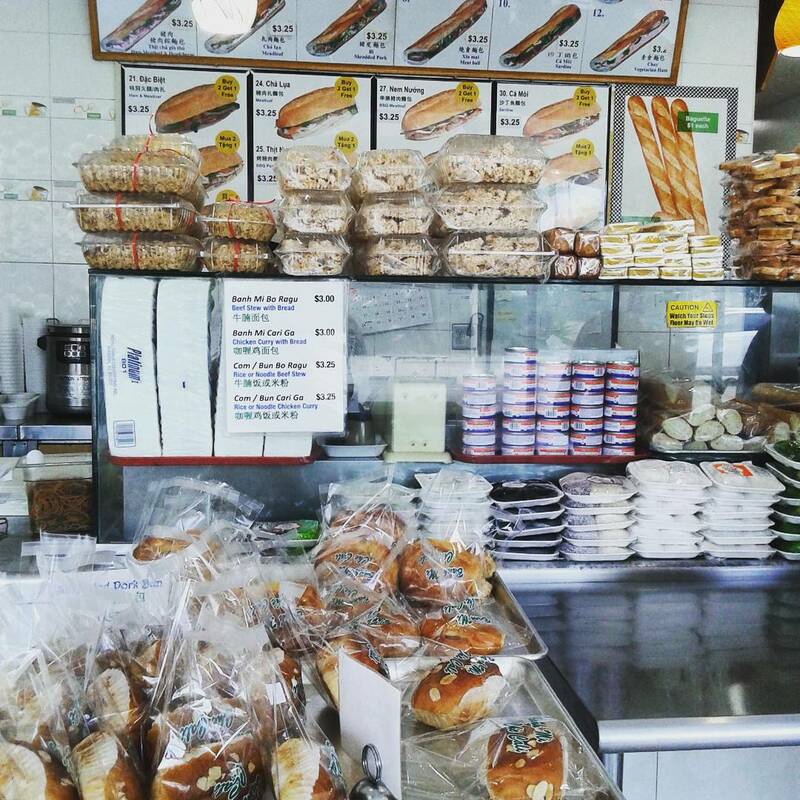 This shop also carries other various vietnamese snacks and treats, so grab a banh mi and browse anything that catches your eye. The nem nuong (Vietnamese pork) is great. Insider tip: parking can be a challenge but tell the parking lot attendant you are just grabbing a sandwich and they’ll let you park free while you grab your sandwich and treats. SP: A tiny hole in the wall that reminds me of shops in Vietnam. They sell random things but also banh mi in the back.The sandwiches take a while to make since they toast the bread for each order, but it’s worth the wait. I like their grilled pork sandwich and the shredded chicken floss sandwich. Not as common as other types but just as good. 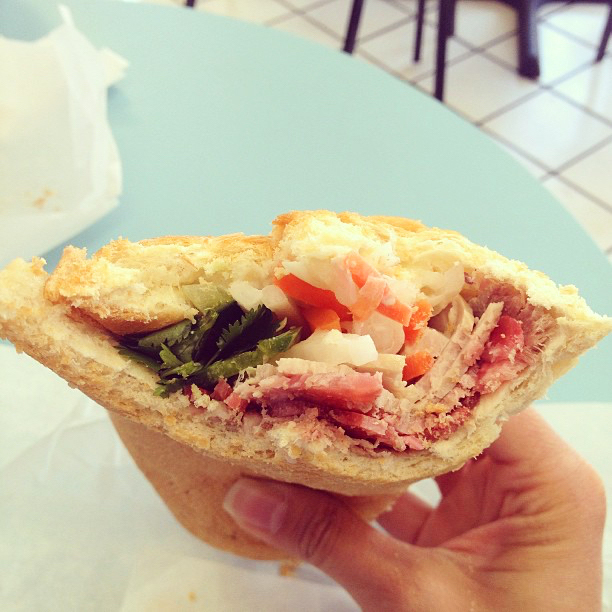 SP: My go-to is the xiu mai (meatball) sandwich. While every shop has meatball options, theirs has the best texture. The meatballs are firm without being too dense while still being tender. Considered "the new kid on the block" this shop is worth checking out. SP: Lynda uses a signature garlic mayo that sets their sandwiches apart from others. People come from far and wide to pick up sandwiches at this shop—apparently the garlic mayo is enough of a distinction to draw people from as far as an hour away. The shop is comfortable and welcoming. 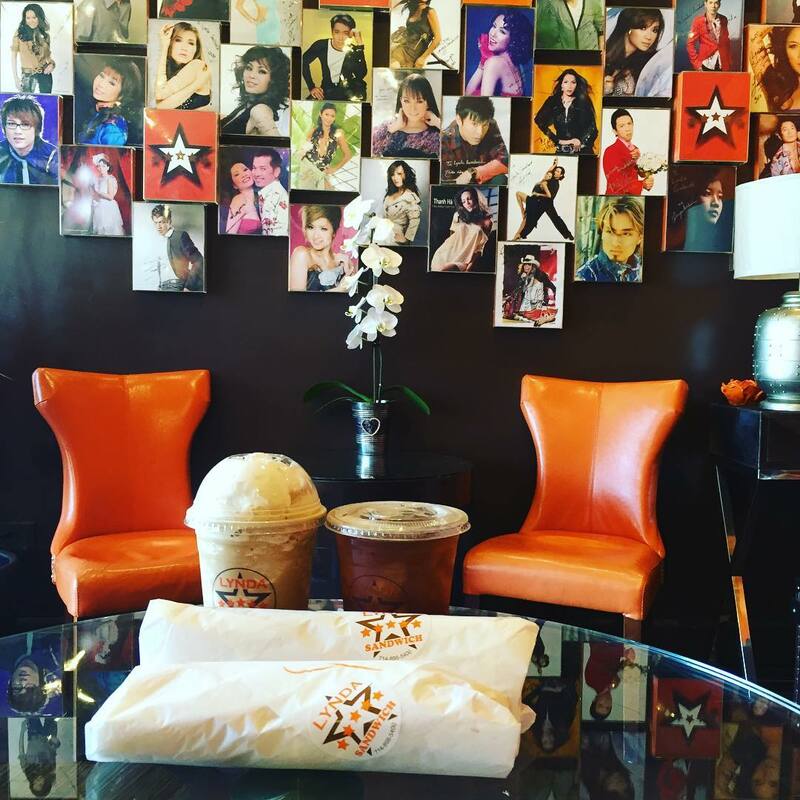 Feel free to grab a table or couch and enjoy your banh mi and watch the scene. SP: Top Baguette does the classics consistently well. It’s a good example of classic execution. 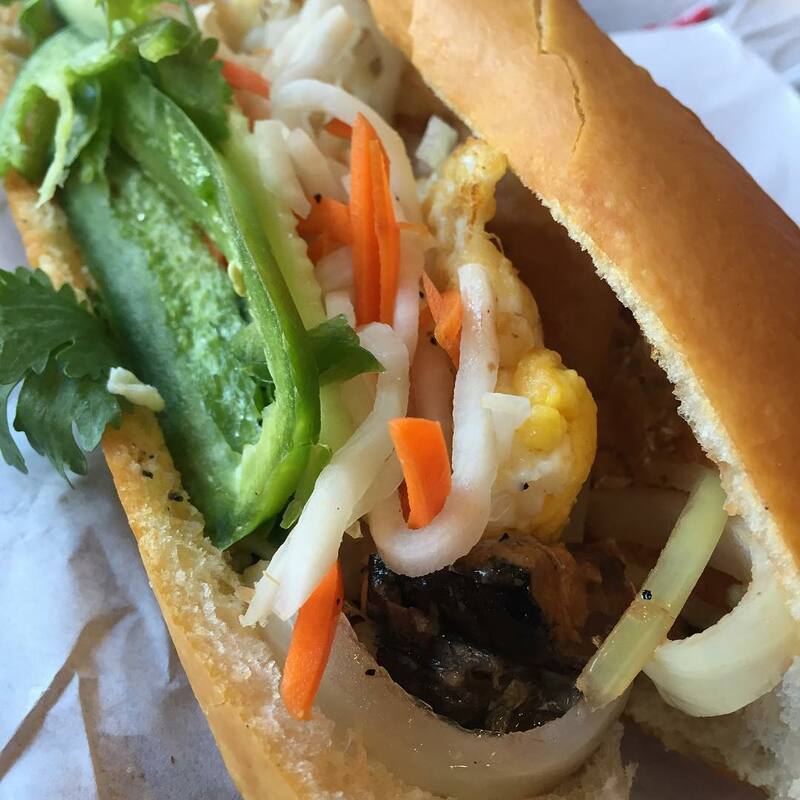 Long considered the king of banh mi shops by Little Saigon devotees, this shop has been catering to the high standards of long time banh mi connoisseurs and converting newbies. This one is your benchmark. 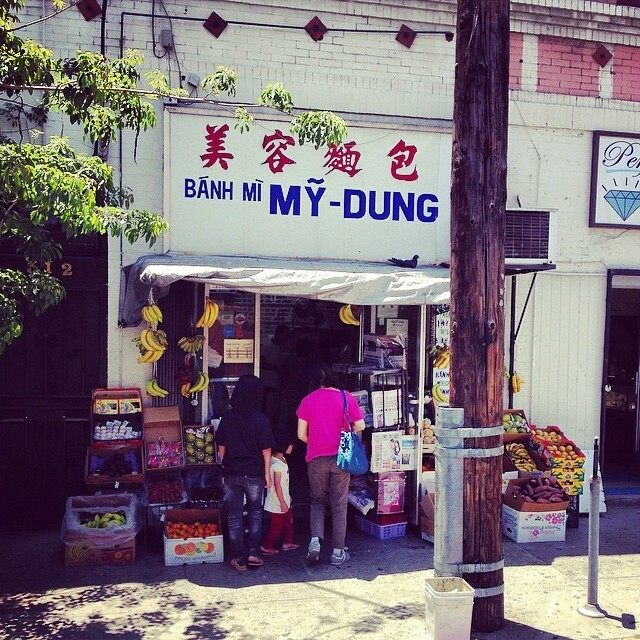 SP: I grew up eating in this classic banh mi place. They have locations throughout Orange County, and still do things the same way. I like the old school individual baguette over the long loaf cut into individual sandwiches. The bread here is in my opinion ideal for banh mi, it’s light and crispy without being too doughy. The new style of long baguettes have taken over in popularity over the years but in my opinion they are too doughy and get in the way of the fillings. 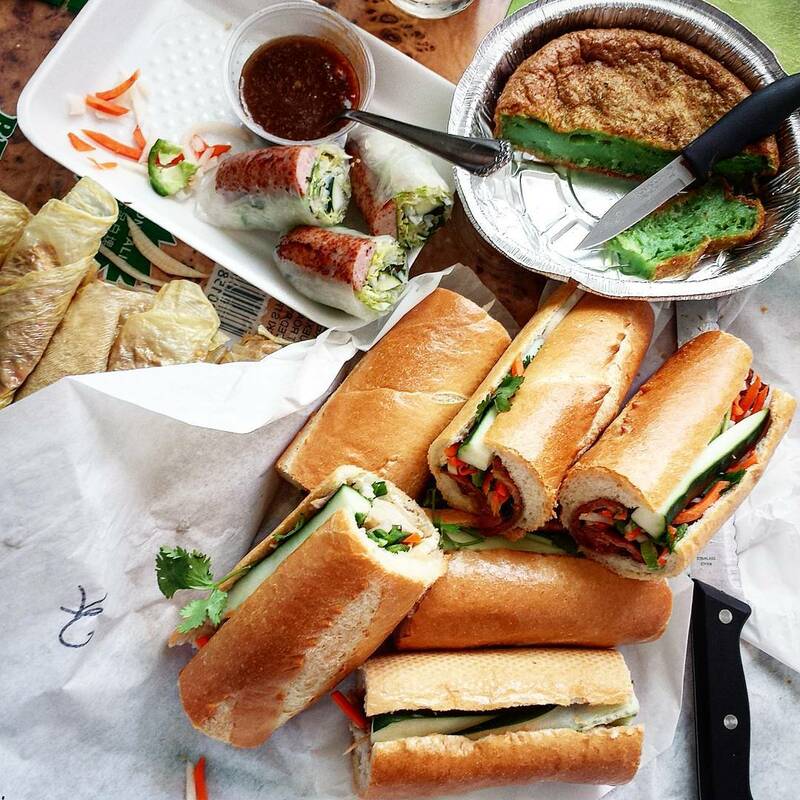 Locals line up at this straightforward bakeshop for Vietnamese sandwiches, baked goods & milk teas. 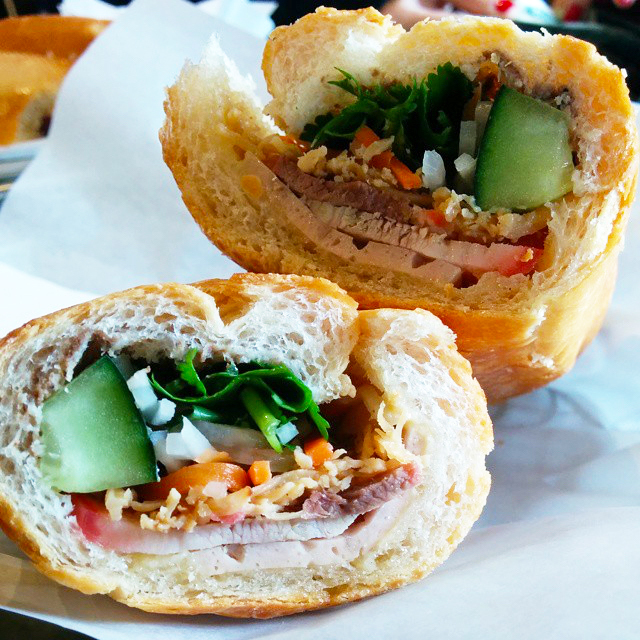 Modest Vietnamese counter-serve joint specializing in banh mi, plus iced coffee & spring rolls. 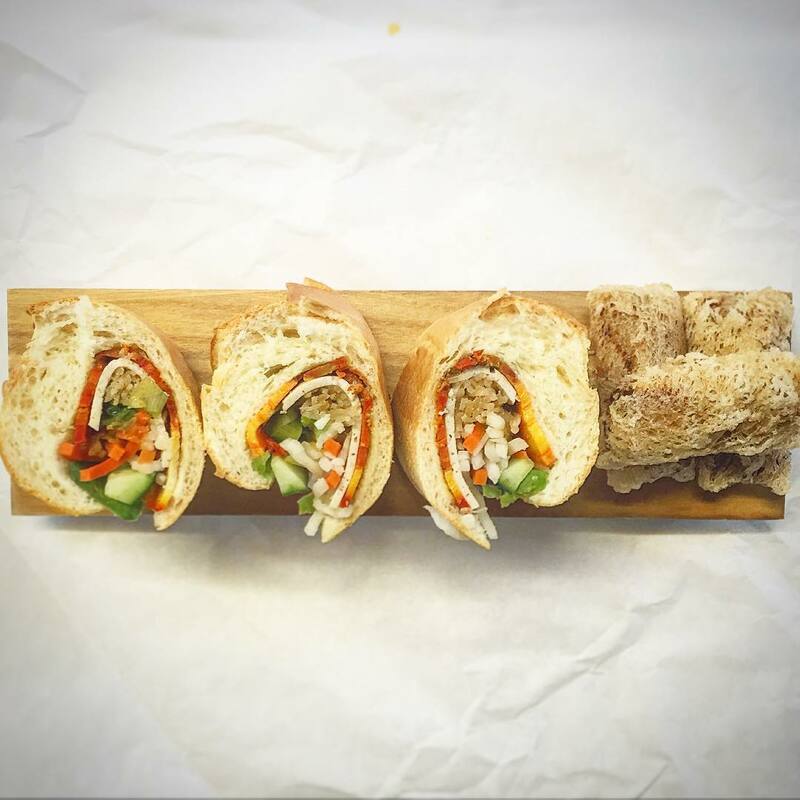 Functional counter-serve providing traditional Vietnamese baked goods, banh mi & entrees. 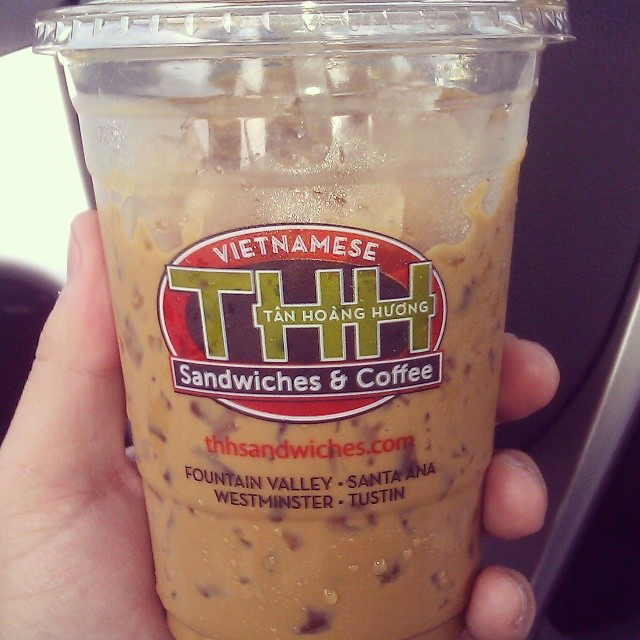 Tan Hoang Huong is a Vietnamese restaurant that serves Vietnamese sandwiches, known as banh mi, and Vietnamese coffee, known as cafe sua da. Cozy counter-serve spot in a strip mall with casual Vietnamese bites & drinks to eat in or take out. 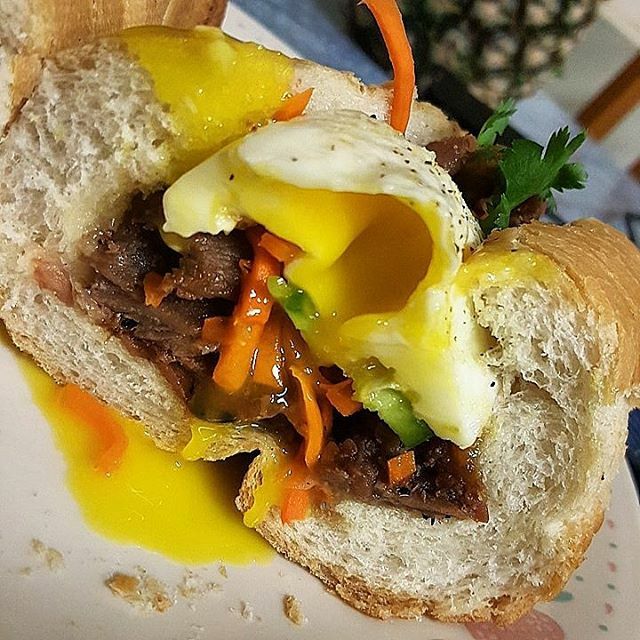 Although "banh mi" are a staple of Vietnamese cuisine and can be found all throughout Orange County, Top Baguette takes pride in serving customers with fresh ingredients.